Here’s a confession: we’re slightly obsessed with pirates. Not in the old-fashioned, ‘let’s drink rum, keep a parrot, dress up and say “Aaargh” ’ kind of way, and not even in the ‘my language is set to Pirate English on Facebook’, more digital-age friendly kind of way. 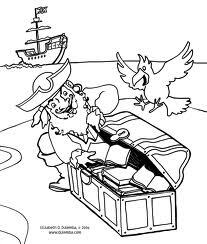 We’re talking about the realisation that in order for the new music industry to survive, we must learn from pirates, hence our last two blogs: Piracy Inspired Lessons for Labels and Sales Ahoy! This week, we’re taking things a step further with this interview from new music start-up OMP3’s CEO Lee Winterson and CTO Supriyo Roy. 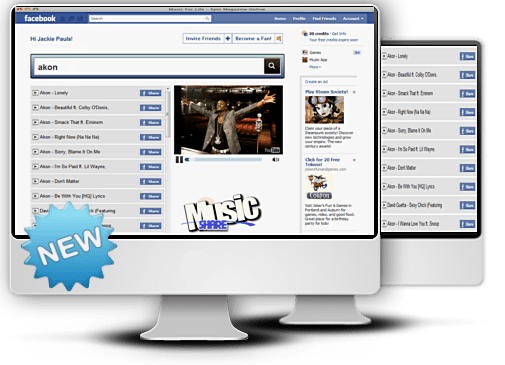 OMP3, is a legal service using the YouTube API, which provides free software which enables varying levels of webmasters and bloggers to provide legal music downloads from stores. Although not one of their initial aims, OMP3’s business model has created a brilliant solution to the piracy problem by making monetisation with music possible to anyone. Just launched last month [February 2011], OMP3 saw 800 websites use the software and over 350 Facebook application downloads within its’ first two weeks. With plans to launch an advanced version, and dropped ties to Grooveshark and their subsequent legal difficulties and bad press, could this start-up bear glad tidings for the future of the new music industry and musicians? BD: Where did OMP3 come from? What was your inspiration? OMP3: Omp3 was born really quite by accident. At first we had no idea that it would become so popular and only then did we find inspiration. BD: Explain how your service works in 5-10 steps. OMP3: Our service works in many ways: for any level of webmaster or Internet user. Anyone can start their own omp3 music store. It is totally free and available to anyone and costs no money to open or invest to get going. For most users using our “embed a music store” on your website or blog is as simple as embedding a video from YouTube. Just copy a small line of code and you have music on your website or social network. If a user wishes to make money from adding a music store, they can join Amazon and Google AdSense and add the publisher ID to the code and make money from adverts or from music downloads which are sold through legal music vendors like Amazon or 7 Digital. For people who have experience with making websites we offer a fully working PHP script which they can load to their web server. This process is the same as embedding, yet it has more features available and more design control to incorporate over their existing websites. There are many free web hosts now on the Internet so there is no cost to the webmaster in any way. BD: So, basically anyone with a website can make money from music, which then flows back to the rightsholders, was your business model designed to deter piracy? OMP3: Well we did not build our business model to deter piracy. The only web scripts available on the Internet for webmasters give direct files for MP3 download and obviously this model would promote illegal downloads. We felt that although free downloads attract people to websites, people simply wish to listen and enjoy music. It was clear that webmasters also wanted to have legal music on their websites. Our concept really was to give the webmaster a choice with the benefit of making money from legal music downloads using legal vendors. The by-product of this concept I guess, could be viewed as a tool against piracy. Studies show that only around 700 websites offer legal downloads on the Internet while illegal download sites appear every day. We have now had over 800 websites, in 2 weeks using our software and making music stores. Over 350 Facebook applications downloads and hundreds of embedded music stores now being placed on blogs and social networking websites. We believe the outcome will have a positive effect on the music industry. Maybe increase the dying digital sales which are being reported over the past year. More people will get access to discovering new artists and music, with more websites to purchase from. BD: How do you hope to affect music discovery? OMP3: Music discovery is no different from how it was 20-30 years ago. I remember friends bringing around to my home their latest vinyl disc, or a tape recording from the radio [saying] “listen to this”. Music discovery is from social interaction mainly. Word of mouth is the best advertising tool in the world, ask any salesman or company. The Internet is a place for sharing information and is a powerful tool. I personally believe that discovery of music comes from music sharing. I need to make this clear that I do not feel P2P file sharing is ok. Music sharing is just like a person finding a song on YouTube and posting it to their Facebook profile. That is sharing, and also an advertisement for the Artists and label. Our software only serves as a tool to discover. BD: You’re powered by Grooveshark, do you have any big legal barriers to overcome from using their library? OMP3: Grooveshark – long story really. Due to the negative press, Grooveshark and omp3 felt that it was not in either interest to proceed right now. Omp3 felt that our product concept was worthy; so decided to use the YouTube API for music like so many other websites. We did not want copyright content holders to misunderstand our software goals: which is, obviously to encourage legal music sales. BD: You’re pretty new, barely even a month old in fact, how things are going for you thus far? OMP3: We are very positive. To see so many websites opening in such a short space of time is encouraging. As a response to this, we have been working night and day to release an advanced version of omp3. This will be available next week. **Editor’s note. At the time of posting, OMP3’s numbers had increased to 1022 music stores and 530 facebook apps now have been registered with omp3. Thanks for this comment, we’ll be exploring the web sheriff perspective next… stay tuned if you’re interested!